Within thirty minutes, or so, the effects of the fire could be felt throughout the entire den and kitchen. The uncomfortable chill in the air had diminished and a sense of comfort was now settling in. Fire is an essential, life-sustaining element, yet most of us take it for granted – myself included. As I continued to sit by the fire, I realized that a positive attitude, or outlook on life, is in many ways analogous to a fire – our attitude determines whether we will provide warmth and comfort to others, or if we will create a cold, uncomfortable environment. For the most part, people tend to be either positive or negative in their general outlook on life, but this can be controlled. Think about the work environment that is filled with constant negativity – you can virtually feel a chill in the air when you walk in – it’s simply uncomfortable. Contrast that with the work environment comprised of positive individuals – it is warm, comforting and enjoyable. Our personal attitudes are a choice…a choice that is independent of the environment that we are in, the people that are around us and even the problems that we face. 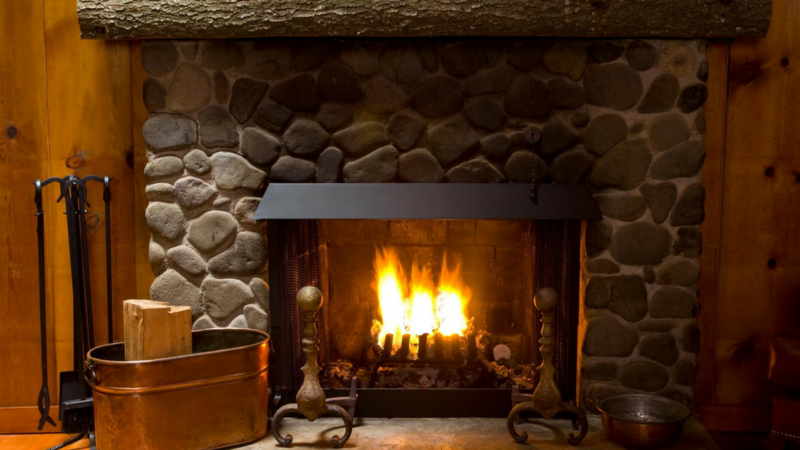 Just as with the fireplace, we can choose whether we want to build a fire or to stay cold. We also choose the amount of heat that we emit – are we going to simply light a votive candle----a small fire…or maybe an overwhelming bonfire. It is a decision that only we can make – it is a choice. Some say…”I’m a positive person, but my co-workers are all so negative – there is nothing I can do about them.” Well, this can seem logical, but think again about the fire. Regardless of how cold a room is, with the right size fire it will eventually become warm. In other words, you may have to adjust the amount of heat and warmth you provide to compensate for the chill that comes from others. Some criticize me personally to being to positive, calling it hype – however this criticism comes from negative people and in response I strive to be even more positive, attempting to warm the chill they cause. I do not live with “rose-tinted glasses”…I am a realist…but I also realize that I, and only I, can determine whether I provide warmth and encouragement or a negative discouraging chill. Take some time for personal reflection – is your attitude positive or negative? Are you providing warmth, comfort and encouragement at your workplace? If not, make the decision to change your attitude…to have a positive outlook. You will find that life is much more enjoyable, both for yourself and those around you, when you focus on the fire within.